But, as Pamela Bannos reveals in this meticulous and passionate biography, this story of the nanny savant has blinded us to Maier's true achievements, as well as her intentions. Most important, Bannos argues, Maier was not a nanny who moonlighted as a photographer; she was a photographer who supported herself as a nanny. In Vivian Maier: A Photographer's Life and Afterlife, Bannos contrasts Maier's life with the mythology that strangers-mostly the men who have profited from her work-have created around her absence. Bannos shows that Maier was extremely conscientious about how her work was developed, printed, and cropped, even though she also made a clear choice never to display it. She places Maier's fierce passion for privacy alongside the recent spread of her work around the world, and she explains Maier's careful adjustments of photographic technique, while explaining how the photographs have been misconstrued or misidentified. As well, Bannos uncovers new information about Maier's immediate family, including her difficult brother, Karl-relatives that once had been thought not to exist. 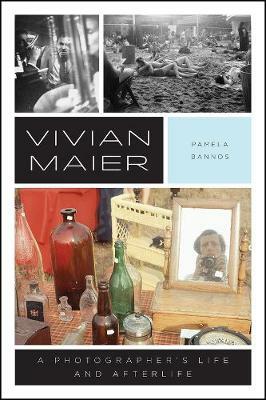 Buy Vivian Maier by Pamela Bannos from Australia's Online Independent Bookstore, Boomerang Books.